There is no field where a makeup artist is not in demand. In today’s world where appearances have become vital a makeup artist has become a crucial necessity. From fashion to modelling to the cinema to TV show to even the news any sector or industry that is remotely connected to glamour needs a makeup artist. 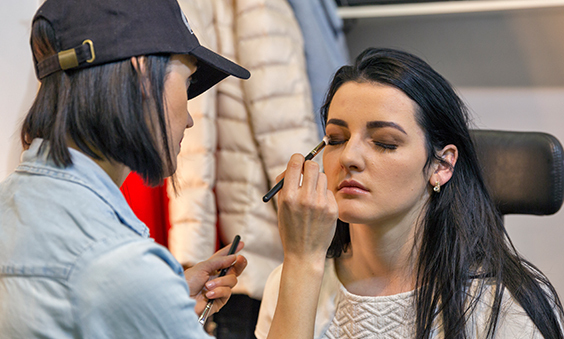 Because the demand and need are high, the amount of certified makeup courses that are being offered by academies and institutes have increased by leaps and bounds. A makeup artist is not just a person who slaps some lipstick and mascara onto a client. A true artist can create the desired look with just the tools available at that time while ensuring that the client looks flawless and glamorous. Like a true artist, a makeup professional also creates art using cosmetic products. The reason being a makeup artist is considered cool because it gives you an intro into the fashion industry. It lets you work on humans as if they were dolls and prettying them up for the world to enjoy their beauty. If it is your passion to create beauty out of just blush and lipstick, you should consider taking professional makeup artist certification classes and turn that passion into a career. If it is not fashion industry, you want to work in, as a makeup artist, you can pick any other field that makes your work fun and enjoyable. To be the best makeup artist, there are few things an aspirant needs to do. The foremost being to get the required training where you will get comprehensive knowledge about all the products that are used in makeup, how they affect the skin and obviously the methods to apply different kinds of makeup. 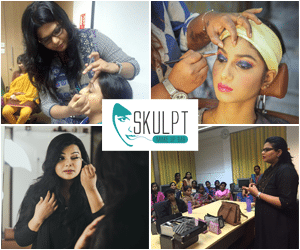 Once you have become a certified makeup artist after attending a good cosmetic course beauty artist should think of working with a renowned makeup artist. The knowledge one gains from an experienced person are invaluable. The learning you will gain while working with a skilled makeup artist has a number of areas they can specialise in. The best way forward is to pick one and strive to become an expert in it. For example, set a goal to be the best wedding makeup artist and then not only take more courses and training in it but keep on updating your makeup style to always be with the times. Like any other career, practice is the key to becoming the top most makeup artist. With the more number of people, you work with the more knowledge you gain on what looks good on which skin tone and what products suit which skin type. Learning never ends for a true beauty artist. Every few years new tricks and tips come up which need to be learned. Plus, fashion is a fickle industry it keeps on changing the trends. So, to be in vogue, you need to keep developing skills. The craft of a makeup artist really takes flight as they build their portfolio. Thus, keep a photo or a video of every work that you have done. Present them as samples to new clients to give them an idea of your expertise and skill.